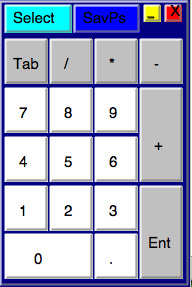 My-T-Soft® is the premium onscreen keyboard utility for any computing platform. 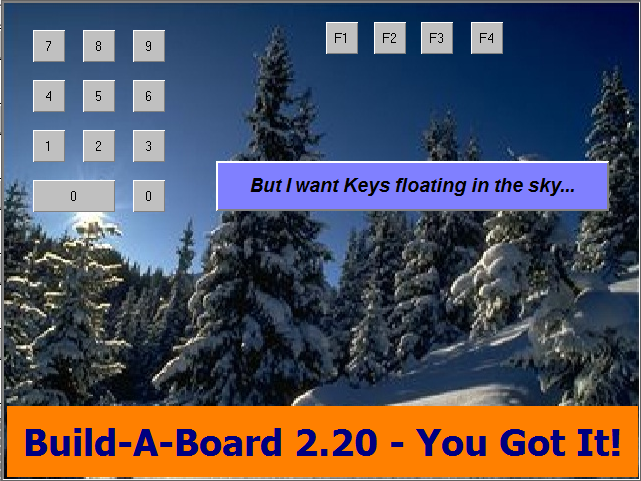 Clients can use the included templates or create their own custom layouts from within Build-A-Board and drop them into a Mac OS X based product to provide the on-screen keyboards and utilities that have been available previously only on Windows platforms. The ultimate goal for Build-A-Board and IMG's My-T-Soft family of On-screen Keyboard Utilities is to provide a complete cross-platform, interactive user interface so that clients can develop their user interface at the lowest level of the operating system and deliver it across multiple platforms while maintaining visual and functional consistency. 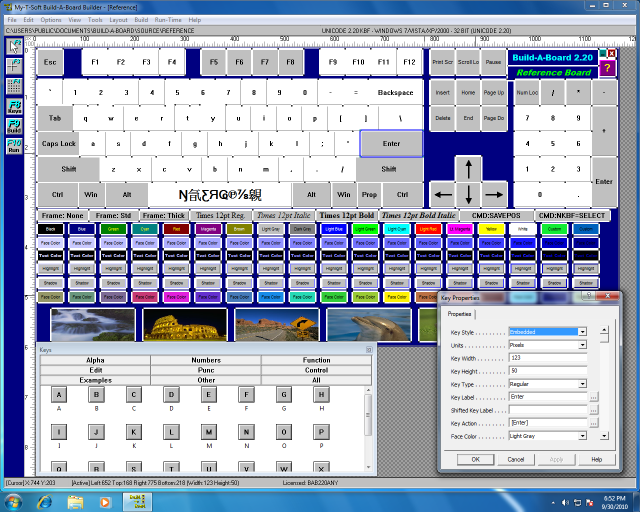 IMGs Build-A-Board Keyboard Designer Tool provides a comprehensive environment for creating, modifying, and managing onscreen keyboards, buttons, and panels for the user interface, which can be used in the My-T-Soft family of products (My-T-Pen, My-T-Touch, My-T-Soft, My-T-Soft Terminal Services, and OnScreen with Word Completion) or it can generate it's own "lite" run-time targets for Windows, Windows CE / .NET / Mobile, Linux, Mac OS X, or UNIX. 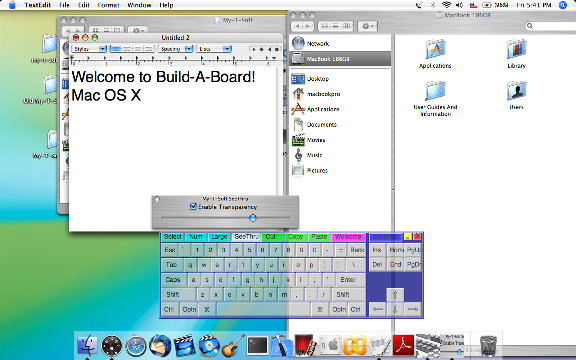 My-T-Soft® for Mac OS X is part of the My-T-Soft® Build-A-Board system. Mac OS X is a supported platform as part of the Build-A-Board Platform licensing. This is a Evaluation run-time version. 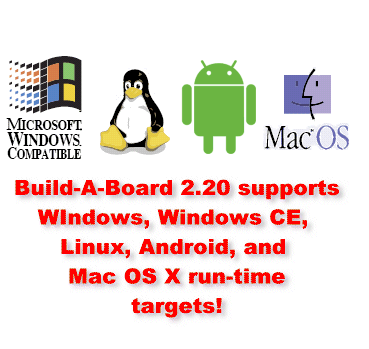 Build-A-Board License required for Mac OS X platform license. Multiple target platforms - Windows, Linux, Mac OS X, etc. 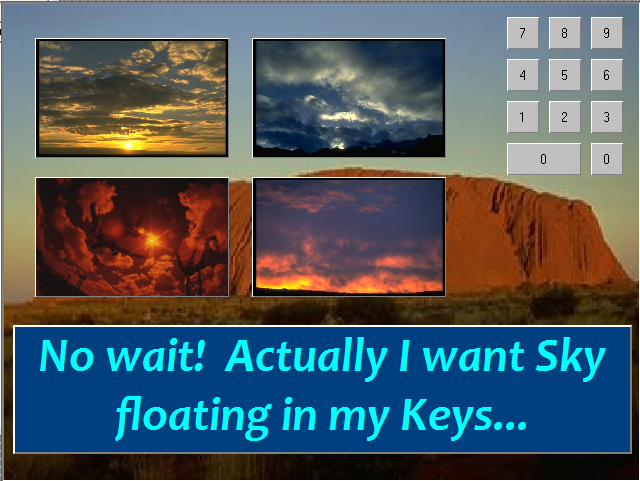 My-T-Soft for Mac OS X is the Mac OS X based run-time component from IMG's Build-A-Board. It is made available as a separate purchasable product for certain customers that prefer the license per unit, rather than the platform licensing available within Build-A-Board. The actual code-base for the run-time targets is a combination of target specific code, shared core keyboard software code, and shared lower-level abstracted operating system API code. Because the foundation was designed to be cross-platform, and extensible, the ability to run the same keyboard layout (Data) on multiple run-time targets (Programs) is the expected operation. Build-A-Board Enterprise 50 (1 Platform) [SMB/Corporate Dept.] Suggested Retail Price is US $899.95. Build-A-Board Run-time Addl. Platform (#12402/12403 req.) Suggested Retail Price is US $499.95.